The death of a family member is devastating, no matter the circumstances. Tragically, many accidental deaths are preventable were it not for the negligence of one or more parties. Should the worst happen, Johnson & Biscone, P.A. is here for your family. To find out if you have a wrongful death case and our attorneys can help, please call 405-232-6490 for a free consultation. 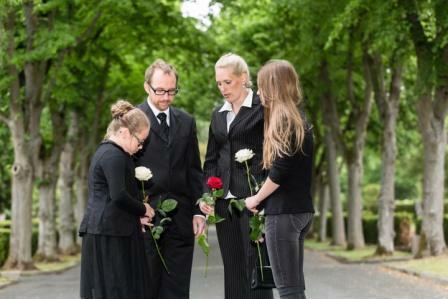 Our wrongful death lawyers serve all of Oklahoma, including Oklahoma City, Edmond, Norman, and nearby areas. Like personal injury claims, attorneys in a wrongful death case pursue damages to compensate the plaintiff. Generally, in Oklahoma, the estate of the deceased must file a claim within two years. However, there are certain exceptions and sometimes the claim must be filed sooner. Families of workers who are killed on the job may be eligible for benefits under Oklahoma’s workers’ compensation system. However, a survivor benefits claim is not the same as a wrongful death lawsuit. Attorneys at Johnson & Biscone have decades of experience helping injured workers and the families of those who die in workplace accidents receive the benefits they deserve. Contact us for a free review of your case. It’s impossible to put a dollar figure on the toll that your loved one’s death takes on your family. During this difficult time, you need a law firm that fights and cares for you. Our wrongful death attorneys talk to you the first time you call, then fully investigate your case. Many clients aren’t sure that they have a case because of the parties involved. Oklahoma also permits families to seek punitive damages in wrongful death cases. If your loved one’s death resulted from particularly egregious conduct or carelessness, you may be eligible for additional compensation. Compensation in wrongful death cases aims to alleviate the financial burden families suffer after an unexpected death. Find out how Johnson & Biscone, P.A. can help by calling 405-232-6490 for a free, no-obligation review of your case. 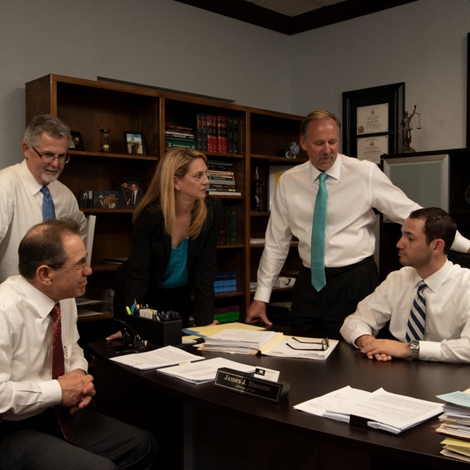 Our attorneys have nearly 100 years of legal experience in matters including wrongful death and survivor benefits. We proudly serve all of Oklahoma, including Oklahoma City, Edmond, Norman, and the surrounding communities.